I’ve been a Beck fan for many years now. And I loved his last album “Morning Phase” In fact, it’s an album that I play quite often. It’s mellow, very much like “Sea Change” and it won Album of the Year at the Grammy Awards in 2015. But three years have gone by since the last album was released. Beck has teased us with songs like “Dreams” and “Wow” and it was highly anticipated for a complete album with those songs on it. And “Colors” is that album. So year, “Dreams” was released back in June 2015, more than two years before the album even got a title. It got played a lot, but I never tired of it. “Wow” came a year later in June 2016 and it was not quite as poppy, but it was a nice song… different enough to keep people waiting. As for the songs I like since the album has been out, I’m really fond of “Up All Night” and the title track “Colors” Both are strong and really have a lot going on in them, musically. 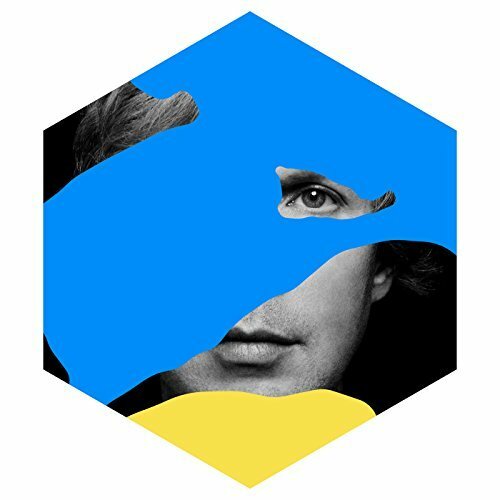 “Colors” has that Beck hook sound to it, which has all sorts of different repeated rhythms and sampled-like sounds he injects into the song. “Dear Life” is another song I find myself playing often. It’s got a mellow catchy chorus, almost Beatles-esque. This album will most certainly make my best of end of the year list. It’s another great album by Mr. Hansen. Tell me what you think if you’ve heard Beck’s new album… right below, in the comments. Right now it’s a toss up between this and Japandroids for album of the year. It will be a game-time decision. Oh cool. I know of your love for Japandroids, so for the Beck album to be a top contender says a lot. I don’t think I’ve ever listened to a single Beck song in my life. Wait, except for that “Loser” song back in the day I think. I’ve always _meant_ to listen to him. I think this has given me that nudge. Everyone, at some point, has heard “Loser” The new album is a good place to start. Also the “Odelay” album, too. Lots of familiar songs on that 20 years old release.